Although they carry some similarities in symptoms and treatments, pleural mesothelioma is not a type of lung cancer. The first major difference is the incidence rate of the two conditions. 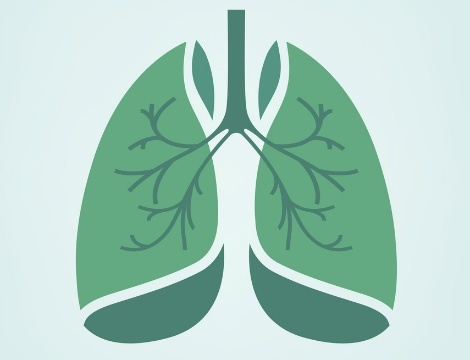 Lung cancer is the second-most-common cancer in the U.S. with about 222,500 new cases annually. Doctors diagnose roughly 2,800 cases of malignant mesothelioma, which includes all four types of the asbestos-related cancer, each year. Malignant mesothelioma is primarily a disease of extended exposure to asbestos, a toxic mineral once used extensively in construction and manufacturing. The cancer has an average latency period of about 40 years. Some patients present years beyond that, while others may show symptoms 10 to 15 years after maximum exposure. Lung cancer symptoms typically appear 10 to 30 years after a person starts smoking, which is the overwhelming cause of lung cancer. Exposure to asbestos can cause asbestos-related lung cancer or increase the likelihood of a smoker developing asbestos-related lung cancer, but tobacco abuse has no influence on the risk of developing mesothelioma. However, more often than not, mesothelioma patients have a history of tobacco abuse. That’s unfortunate because it introduces a host of other confounding factors. In some cases, we might have a patient with malignant mesothelioma, who from a cancer standpoint (tumor spread, size of tumors, etc.) is a candidate for surgery. However, because of the effects of smoking, their lung function or heart function may be compromised from a functional standpoint, making them ineligible for surgery. The tumors may be resectable, but the patient can’t tolerate surgery because of the irreversible damage cigarette smoking has done to their heart and lungs. The top differentiating factor between malignant mesothelioma and lung cancer is where the cancerous tumors develop. In most cases, mesothelioma develops on the protective lining of the lungs or abdomen. The most common type is pleural mesothelioma, named after the pleura, which is the lining of the lungs. Mesothelioma can also affect the surface of the lung. You don’t usually have a tumor inside the meat of the lung like you do with lung cancer, but it can affect and involve the surface of the lung. That plays into the confusion of why some associate mesothelioma as a primary lung cancer. Most patients with pleural mesothelioma will either show pleural thickening (extensive scarring in the lining of the chest cavity) or a pleural effusion, which is fluid buildup in their chest cavity. With lung cancer, you don’t necessarily have the thickening of the lining of the chest cavity. However, it is not uncommon for lung cancer patients to present with pleural effusions, which can sometimes make it difficult to establish the diagnosis. When a malignant mesothelioma diagnosis is confirmed, I make sure to explain the difference between it and lung cancer. For a patient who is a heavy tobacco user, they might at first believe mesothelioma is a type of lung cancer or is somehow related to their smoking. There’s really not an established relationship between tobacco abuse and malignant mesothelioma. That being said, if a patient is a heavy smoker, I will tell them their continued smoking will make the whole process much more difficult. Smoking makes it very difficult to tolerate chemotherapy and hard for us as doctors to clear a patient for surgery. By virtue of the fact that mesothelioma is a relatively uncommon cancer when you compare it to cancers of the lung or breast, its unique nature forms a bond between patients as well as patients and health care providers. Patients often have to look near and far to find treatment. There aren’t enough cancer centers with experience treating mesothelioma because there are so few cases. Unfortunately, there is a lot of poor education and limited mobilization of resources to help health care centers and health care professionals. This means a physician might see a patient with malignant mesothelioma, but because of a lack of access to the latest information, they might write off that patient with an unresectable disease and tell them nothing can be done. Or they might send them to a surgeon to drain the fluid from the lining of the lungs as a palliative treatment. Instead, by sending them to a mesothelioma specialty center such as Ochsner Cancer Institute, we can take a multidisciplinary approach to the diagnosis and management of malignant mesothelioma. Yes, many patients may be unresectable, but there is a subset of patients who can benefit from aggressive therapy, and institutions that have experience seeing those patients should make that decision. Dr. Brian Pettiford is a cardiothoracic surgeon at Ochsner Cancer Institute in New Orleans. He has authored or co-authored 40 journal articles and book chapters. His interests include doctor-patient relationships, the process of patient selection for surgeries and emerging treatments for pleural mesothelioma.